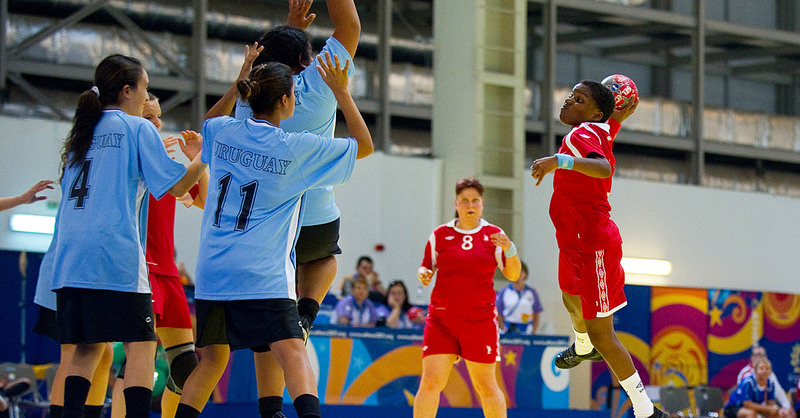 This page draws together handball-related information for all of Special Olympics. The coaching materials and other links will help you get a good sense of how this sport contributes to Special Olympics. Handball is a physical and fast sport of intense physical contact, with shots being thrown at speeds approaching 100 km per hour. It is played indoors on a 40m x 20m court with seven players (one goalkeeper + six court), which speeds up the game even more. The object is to score more goals than the opponents by throwing the ball into a D-shaped net. Handball athletes are known for their speed, agility, physical strength and stamina. I am Andrea, a 17 years old football player from Special Olympics Hungary and appeared on TV because of my sports achievements and scholastic records.